When it comes to the planning, management, and development of your niche's content, you will find media being your number one source for resources and niche-related inspiration. 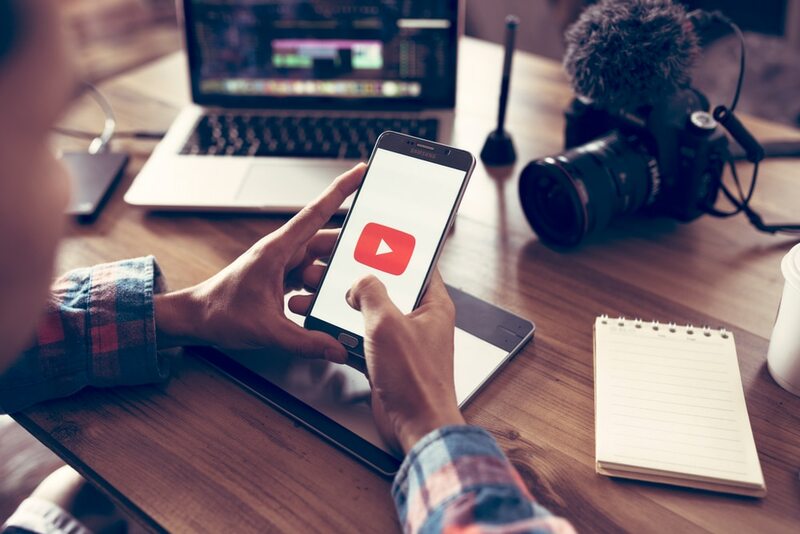 In terms of seeking quality video and streaming content on the world-wide-web, there is little doubt that YouTube is the #1 search engine dominating this subject area. In addition to being an international-internet phenomenon and database, it is also an excellent source of content gathering when creating your niche! Over 1.3 BILLION people alone use YouTube, with millions of content-specific channels and billions of videos floating around this massive database. As a result, it should be no surprise to learn that there will likely be an abundance of information at your fingertips when researching information regarding your niche, or even gathering inspiration for a new and blooming niche and writing ideas! From informative channels to humor and creativity, you really will find it all on YouTube. The good, the bad, the weird and the beautiful, YouTube is your one-stop-shop for all sorts of content-seeking needs. YouTube allows you to search for information about your niche through a variety of forms. These forms can range from finding old commercials relating to your niche, to lectures that took place at local universities, or even opinion vlogs (video blogs) relating to your specific niche. In addition to this, not only is YouTube a great source for you to find information about your niche, but it is also an excellent source in promoting your niche as well. In that same regard, like-minded people will likely turn to YouTube to find information on your niche's topic and ultimately find you as their teacher and informer. Mary Meeker stated in a report that by 2017, over 74% of most internet traffic will be video-related. This traffic is found on several formats including both video, and mobile, with mobile swiftly taking the lead in this growing trend. With the sheer amount of traffic that comes into YouTube, one can only imagine the interest it sparks in content-creations. However, it is important to note that a video and its content is ultimately nothing without its viewers, and the content the viewers in return provide when expressing their feedback regarding a video. The comments section of any YouTube channel is ultimately a goldmine for additional information and resources regarding the topic. A niche about makeup can be complimented by a tutorial video found on one of the many makeup channels on YouTube, but hidden within the comments section of said tutorial you may find someone who has their own two cents to give. Perhaps a technique used in this makeup tutorial is actually flawed or not ideal, resulting in a passerby popping in to shed some light on this concern. Within their comment, they may demonstrate their view, and correct any flaws found within the video, which in turn will aid the content in your niche. This, in turn, leads you to this particular viewer's YouTube channel, which could be a channel regarding the ingredients found in many makeup products, and hidden within one of these user's videos is a comment from another viewer offering a link to another makeup-related website highlighting the dangers of some ingredients. Essentially, thanks to quick observation, and a little Indiana Jones YouTube style exploration, you were able to find additional information relating to the hypothetical niche mentioned here. The best part about finding this information? It's not something that is easily found by your average individual. What is found within the comments section of a YouTube video is often unlisted on major search engines such as Google or Bing, meaning that the information you gathered through your exploration is not information as easily available to others. By taking the time to explore deeper, beyond the immediate results you find on search engines like Google and YouTube, you were ultimately able to broaden your search, gathering information that will only benefit and enrich your niche.